Yesterday I wrote a post about the character lessons children can learn while participating in team sports. I also included warnings to parents hoping to avoid the dangers of undermining what our kids could learn. 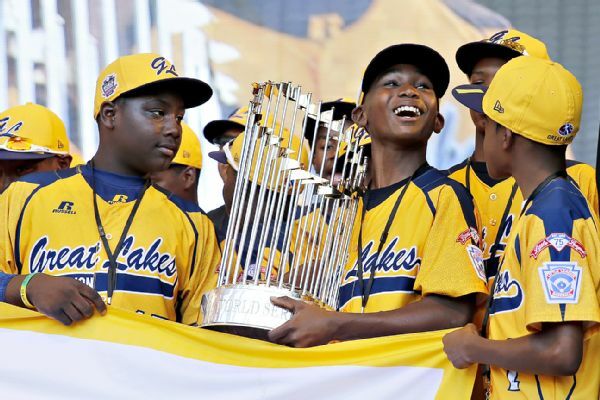 Unfortunately, ESPN reported today that Little League Baseball has stripped the 2014 US Little League World Series title from the Jackie Robinson West (Chicago) team due to the actions of some of the adults involved. According to the report, the team manager and the Illinois District 4 Little League administrator used falsified boundary maps to recruit better players from other districts to “build what amounts to a superteam.” These actions violated the Little League rules that are meant to ensure that all teams have an equal opportunity to advance through the tournaments and reach the World Series. Building an all-star team from multiple districts is a clear violation. For more than 75 years, Little League has been an organization where fair play is valued over the importance of wins and losses. This is a heartbreaking decision. What these players accomplished on the field and the memories and lessons they have learned during the Little League World Series tournament is something the kids can be proud of, but it is unfortunate that the actions of adults have led to this outcome. As our Little League operations staff learned of the many issues and actions that occurred over the course of 2014 and prior, as painful as this is, we feel it a necessary decision to maintain the integrity of the Little League program. No team can be allowed to attempt to strengthen its team by putting players on their roster that live outside their boundaries. The most difficult part of this entire situation is that a lack of integrity on the part of adults has cost a group of boys their championship. The players did not conspire to manipulate the system; instead, it was men they should have been able to trust—coaches and local league administrators—who violated that trust and the rules. This is a problem that is all too common in children’s sports. Adults get so focused on winning that they will sacrifice their integrity and reputations for a trophy. When I was in college, I worked as a little league umpire for a couple of summers. One encounter with a coach still sticks out in my mind. I was calling balls and strikes from behind the plate when a boy hit the ball to right field. He hustled around the bases and slid into third just as the throw arrived. I had done what I was trained to do by running up the third baseline from home plate as I saw a play was going to happen at third base. I was standing less than six feet from the bag and watched the runner slide underneath a tag and called him safe. Immediately, a coach from the first base dugout came running across the diamond yelling at me about my call. I turned and instructed the coach to stop right before she got to the pitcher’s mound and return to the dugout. I reminded her that I had the authority to throw her out of the game if she continued to question the call I was clearly in position to make better than she could have. For the rest of the game, she grumbled about my calls and questioned my ability in front of her players in the dugout. Her actions said more about her character than my ability. For these players from Chicago, their team’s reputation is tainted through no fault of their own. In addition, they have been shown a very poor example of how adults are to conduct themselves. The adults in this case lost sight of the most important thing—that the kids learn how to play the game with integrity. Instead these adults sent the message that you win at all costs, rules don’t apply, and integrity doesn’t matter. Do we really want to bring up a generation of young men and women who are taught that you play to win even if it costs your name? Scripture teaches that “a good name is to be more desired than great wealth, favor is better than silver and gold” (Prov 22:1). If your name and reputation are more important than great riches, then surely they are more important than a trophy. If we expect our kids to grow up and act like adults, then we need to act like adults. Let’s teach our kids how to play with integrity. Let’s teach them how to build a reputation. Let’s teach them that there is more to life than simply winning a game. Tom Farrey, “Little League punishes Chicago team,” ESPN.com, February 11, 2015.